Over the past few years, there’s been a growing number of articles against eating in moderation. A recent study published in Appetite added fuel to the fire, and the media ran with it. The study showed that people often define moderation as larger-than-moderate quantities of unhealthy food like chocolate chip cookies. Most people thought they were doing great with this eating in moderation. The conclusion? “Everything in moderation” doesn’t work after all. And like it always is, the most important point is completely missed. 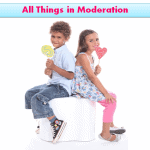 I don’t agree with the way moderation is used by most people. Often, you hear someone saying “everything in moderation” because they feel guilty for eating an unhealthy food. This isn’t moderation, but an excuse to eat something tasty. Then there are people who endorse moderation because they don’t want to eat healthy food. This was my father-in-law, he saw eating healthy as giving up the things he loved, so he touted moderation but certainly didn’t practice it. 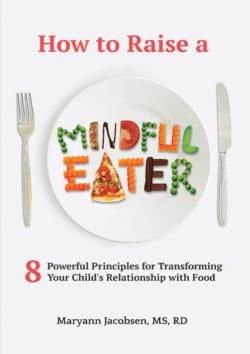 My upcoming book on raising kids to be mindful eaters makes the case that the way someone eats isn’t really about food at all, but what they believe. It has to do with a vital 20th-century discovery in the psychological field. In the 1960s, during his time as a psychiatrist at the University of Pennsylvania, Dr. Aron Beck observed something interesting. His depressed patients didn’t just feel sad, they displayed negative thoughts. 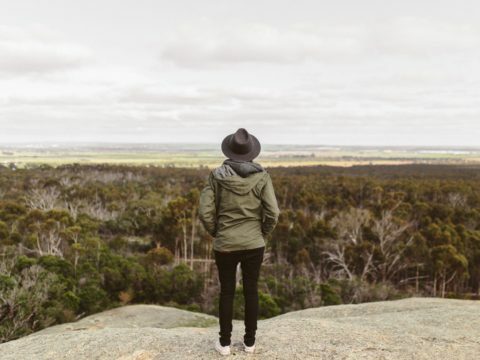 He then worked to help his patients become aware and change these thoughts, and when they were able to (change their thoughts) it brought long-term relief from their symptoms. 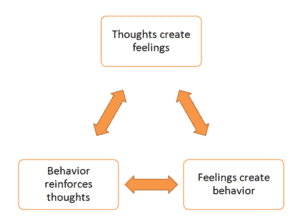 Now called cognitive-behavioral therapy, this type of treatment is commonly used to treat depression, anxiety, eating disorders and is supported by over 1000 studies. 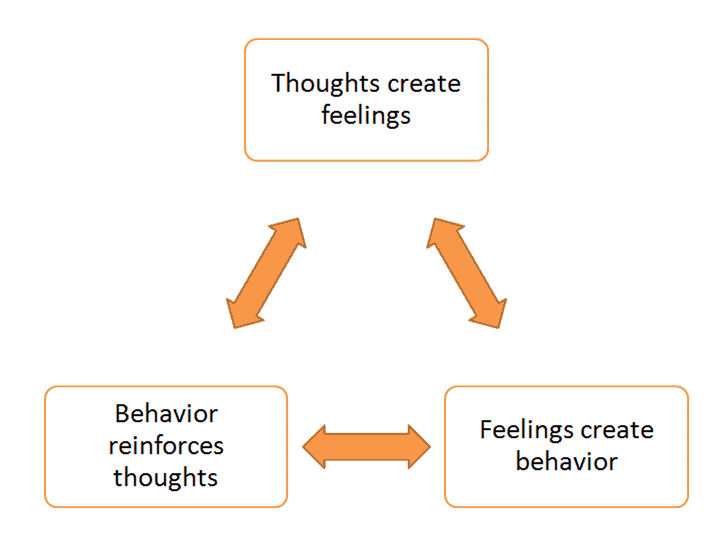 The basis behind it is shown below: first, you have a thought, that thought causes you to feel a certain way and that feeling leads to behavior. 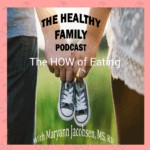 Here’s the problem with our conversation on eating habits: it fails to address the attitudes that actually cause the eating in the first place. 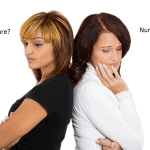 Changing the behavior is like treating the symptom, not the root cause. If we want to experience true moderation — and its benefits — we have to change attitudes first. When it comes to kids, it pays to nurture this mindset from the beginning. Our thinking doesn’t just appear out of thin air, it blossoms from the stories we hear or tell ourselves most often. 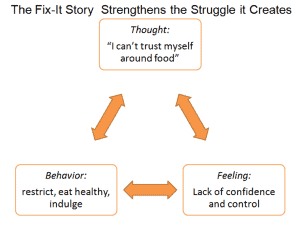 The most common story around food is that we need to fix ourselves by choosing the “right” food and being at the “right” weight. 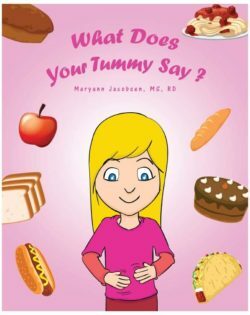 Kids get this all the time when they are told what and how much to eat through meals. This makes it easy to believe that something is wrong with our inclination towards food and that we can’t trust ourselves and our bodies. 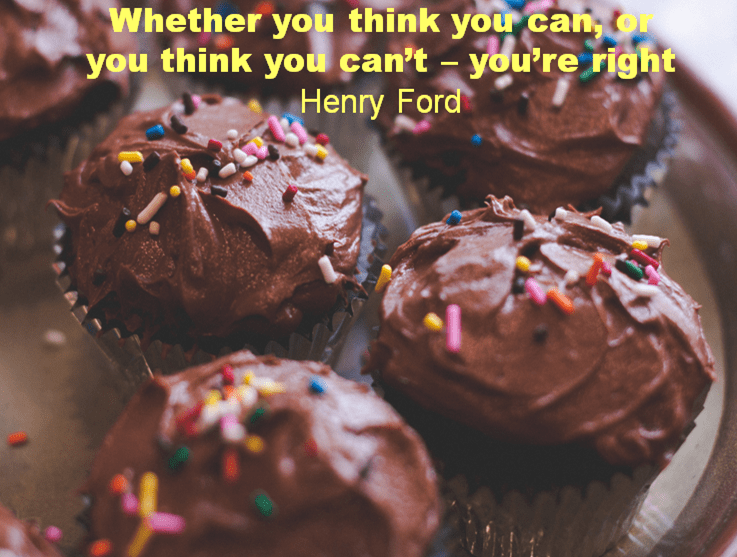 These thoughts lead to feelings of low confidence and little control over food choices, which leads to external and extreme eating. The reality that eating remains a struggle only strengthens the Fix-It story as outlined below. 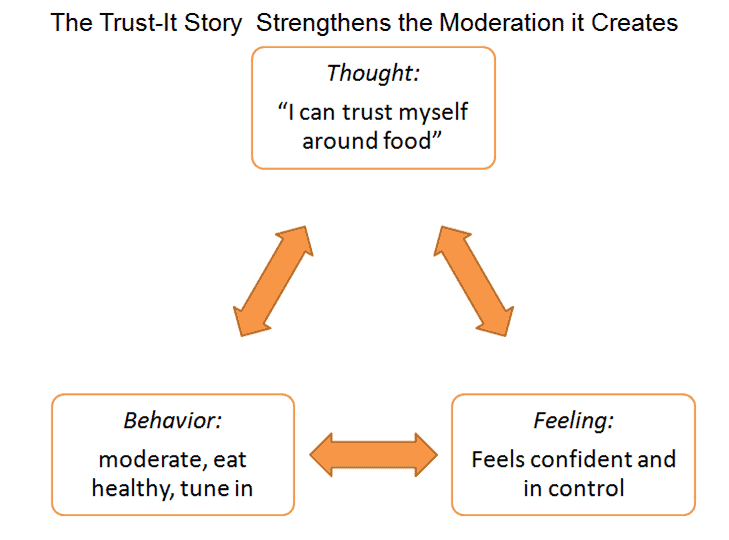 A moderation mindset starts with a Trust-It story around eating. Kids get this when they are allowed to choose from what is offered at meals, and encouraged to honor their hunger and fullness cues. This story of trust leads to thinking positively about one’s inclination toward food, leading to a feeling of confidence and control. 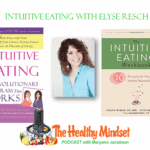 The feeling of control leads to a moderate eating style that relies on internal approaches to eating. The reality that eating is nourishing, and moderation a natural byproduct, only strengthens the Trust-It story. While the media loves to report how moderation doesn’t work and food addiction runs rampant, it literally ignores a growing body of research that tells a Trust-It story about eating. How about a 2012 study that shows moderation is a great way to regulate intake, resulting in better psychological outcomes than the typical restrained eating? Where were the headlines then? How about the growing research supporting the argument that intuitive eating and mindful eating help people not just eat better but regulate their food intake, appreciate their bodies and feel happier? 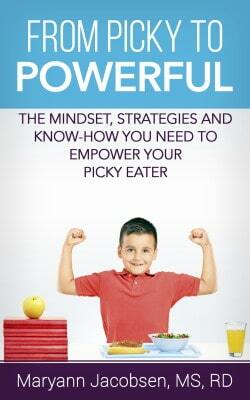 And we can’t forget Ellyn Satter’s solid research on competent eaters. But that’s just it, folks. The media is in the Fix-It business and thrives because it fuels the Struggle Mindset. We are being told a sad and worn-out story about eating. The question is, when are we going to stop believing it? I really enjoyed this summary and explanation of the two mindsets. 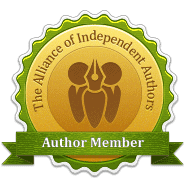 I’m looking forward to your book, Maryann! 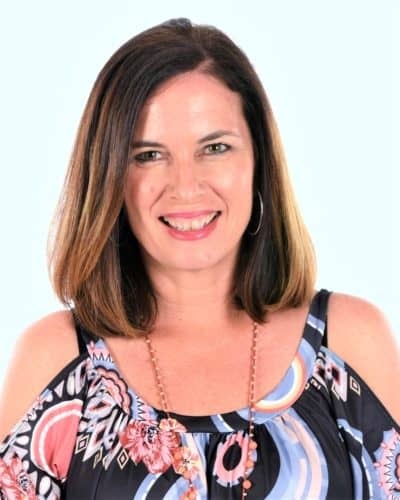 I think how we see ourselves and talk to our selves is a very important topic that affects so much of one’s life (and our how we help shape our kids lives). 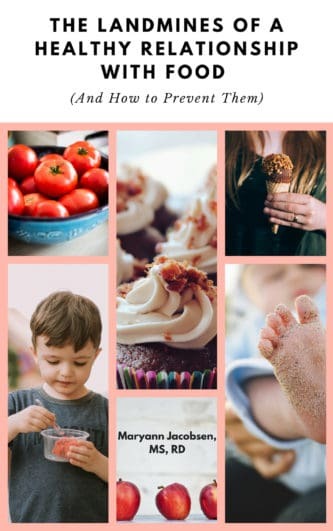 The Trust-It Story is very much what I am trying to now embrace as an adult for the first time… with food, self-compassion and self-acceptance, and how I approach parenting in general. 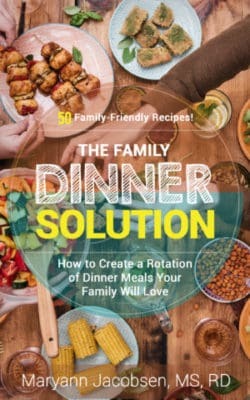 Thanks for delving into this to help bring these insights into our lives! Thanks Allison. It hasn’t been easy coming up with simple ways to discuss this so I appreciate that!